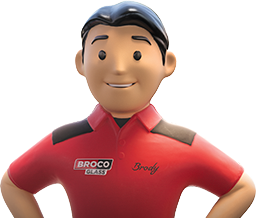 Born and raised in BC with over 35 years of experience, Broco Glass® specializes in windshield repair and replacement. Our locally owned service centres offer a personalized and professional service that guarantees excellent results. We care about our clients, which is why we go the extra mile to offer the best quality service in the industry. We take pride in our work and want only the best for our customers. Whether your glass damage is located on your windshield, side or rear window, you can rely on the experts at Broco Glass®. Our product offer not only includes automotive glass repair and replacement, but we also specialize in commercial and residential glass. Consider bringing your skills and experience to the best. Looking for new opportunities to work for an exciting company? Our business is growing and we are looking for individuals interested in growing with us. We offer excellent salaries, benefits, and a great work environment. Search forJOB OPPORTUNITIESat Broco Glass® through Belron® recruitment.